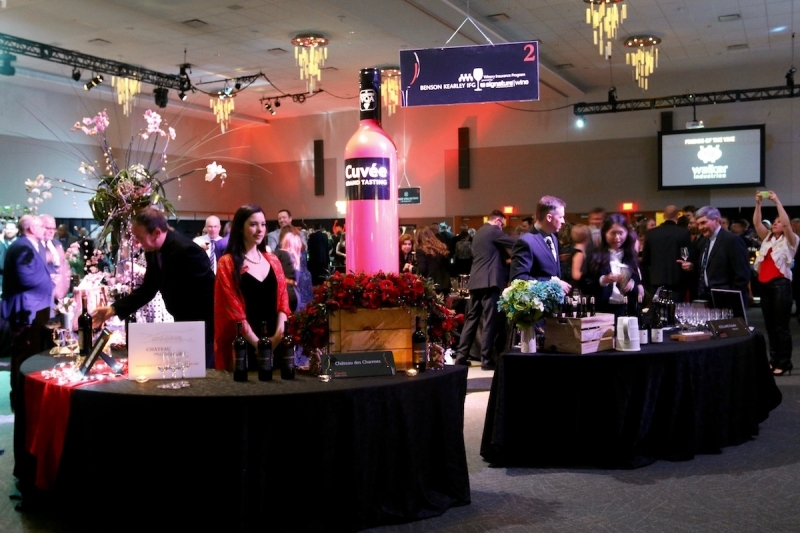 Cuvée is an annual celebration of local wine that reconnects Niagara and tipple lovers to the wine industry with a gala and tasting passport program. It was late in my tenure at the paper when a study about Niagara residents feeling increasingly disconnected from the local wine industry was released. For a place where stories abound about the rite of passage of swilling Baby Duck at the high school prom, this was incredibly newsworthy. The wine industry always seemed as quintessentially Niagara as tender fruit and rushing water, and though we’ve willingly shared those with others, they've always been ours. At the root of the growing disconnect were changes made to the Niagara Wine Festival, starting in 2002 when ‘Grape’ was dropped from its name followed by having to pay to get into Montebello Park during the 2007 festival when it had always been free; and changes that same year to rules about the appearance of Grande Parade participants. At times, the newspaper didn’t help matters, despite what was likely record coverage in the way of wine reviews and industry news. Just as the economy collapsed in 2008, the decision was made to run an above-the-fold story about the release of an icewine that ran $400 a bottle. A photo of the earnest winemaker holding a bottle as though offering it to the camera ran with it. On that same page were stories of local job cuts and growing fears of the Great Recession, with Niagara headed at high speed into having one of worst jobless rates in the country. It was clear who wouldn't be drinking that wine. It was an editorial decision that still makes me wince. Despite the blunders, the wine industry remains a cornerstone of the region’s economy and the events surrounding and supporting it remain relevant — and critical to Niagara’s social and economic well-being, even its civic pride. Take Cuvée. Once dubbed the Oscars of the Ontario Wine Industry, Cuvée is a celebration of excellence in winemaking. While the awards given out may not resonate with everyone who doesn’t have a connection to the industry or consider themselves much of an oenophile, Cuvée serves to rebuild and strengthen that connection between Niagarans and the local wine industry. Here’s how: The money raised from the event supports the education of future winemakers, grape growers and industry science minds. The Cuvée Legacy Fund, established after last year’s event, has already awarded $15,000 in scholarships to students at Brock University and contributed $13,000 to research that will benefit the industry, and ultimately lead to higher quality wines. Student award winners: The Cuvée 2016 scholarships were awarded at the event to (left to right) Jennifer Kelly, Emilie Jobin Pourier, Damien Espinase Nandorfy and Sebastien Savard. Photo provided by Brock University. Earlier this month at the 2016 edition of Cuvée, four students were awarded bursaries of $2,500 or $5,000 to support their studies and prepare them to take the helm in that nearby vineyard or winery, or to establish their own. They are the future employed and employers, the ones who will continue working to make Niagara a world-class wine region, growing the industry with their skill and expertise. A better and bigger industry means more jobs at the wineries themselves and through the ripple effect of more wine tourism: Restaurants, hotels, entertainment and anything else under the hospitality umbrella. Sweet potato crumble, turnip ice cream, purple cabbage and maple purée, and candied white globe turnip but Centreplate at Cuvée. From there, restaurants may choose to buy ingredients from local farmers; hotels may hire the local interior design firm when its time for a makeover; entertainment venues can give a stage to local, national and international talent. And on it goes from there. As it stands, every bottle of Ontario VQA wine sold in the province generates $12.29 in added value thanks to all those ripples (that stat comes compliments of Wine Country Ontario). How cool would it be to see that number grow? Cuvée and its legacy fund will undoubtedly help it along. And in a game of six degrees of separation, I’d bet few Niagarans would have to go back that far to be connected to and benefit from the industry, despite that disconnect recorded in that survey. More simply, this goes back to what I was saying in my last post. When our neighbour succeeds, we all succeed, and Cuvée, be it through those scholarships, or awards that generate buzz about a wine, is helping us succeed. A Niagara College Culinary Student plates porcini-marinated scallops with shaved chestnut mushroom, parsley and cauliflower for the restaurant at Redstone Winery at Cuvée 2016. Cuvée is also accessible. It’s true the Grand Tasting costs $200 to attend, making it an exclusive affair. But the Cuvée en Route passport runs $30 to give even more people a taste of the industry’s best with the added perk of not having to break out the suit and tie to do it. It’s a tasting pass giving access to winemakers' selections over two days. Thats's easy way for Niagarans to reconnect with or reaffirm their love of the industry. Speaking of which, here’s a rundown of the standout wines I sampled at the Grand Tasting. I tasted many lip-smacking, wonderful vintages, but these are the ones that more than a week later, leave me wanting more. Go out and buy several bottles if you can.